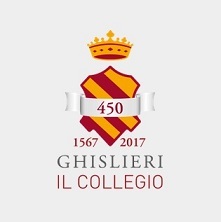 Since 1982, there has been an exchange scheme between St John's College and the Collegio Ghislieri, Pavia University in Italy. The exchange scheme allows an undergraduate or research student to spend the Italian academic year at the Collegio Ghislieri in Pavia and study at the University of Pavia. There is no restriction as to subject provided the subject is offered at the University of Pavia. The successful candidate(s) will be expected to have some knowledge of Italian. Accommodation and meals are provided free of charge by the Collegio Ghislieri. Most students who are nominated to go to Collegio Ghislieri before their graduation will have to intermit their studies for one academic year. In some cases, the year at Collegio Ghislieri counts towards the students' studies (eg Year Abroad for MML students or graduate students who don't intermit). In these cases, students will still be liable for their fees at St John's College. The Italian academic year runs from September until July. The duration of the programme may be divided between more than one student, if this seems desirable. The Pavia Exchange is usually advertised to students in November with a deadline in December. The exact dates will be posted on this webpage closer to the date and a relevant announcement will be made by Student Services. Students who wish to apply will be asked to also attach: (i) a basic CV, and (ii) a personal statement with their ideas concerning the type of course or research that might be pursued in Pavia and how they believe that this Exchange would benefit their studies and their personal development. The statement should be no more than one A4 page long.